Pleural effusions are common and ultrasound can find them. 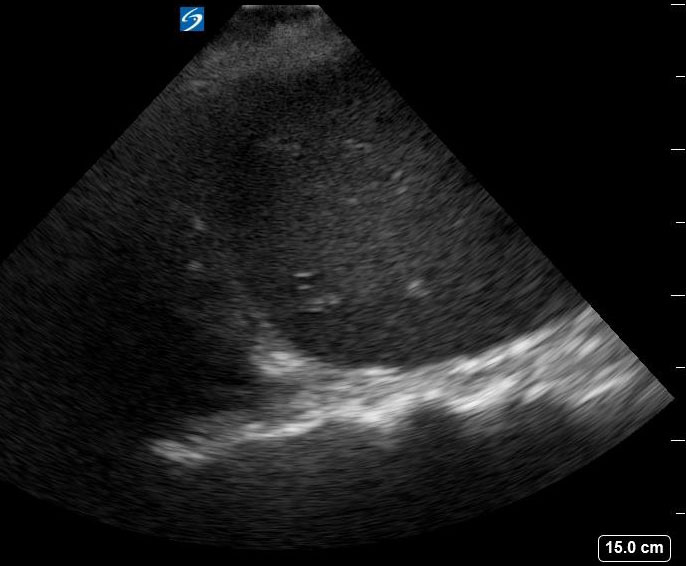 Point of care ultrasound may assist in diagnosing pleural effusion as the cause of a patient’s symptoms. 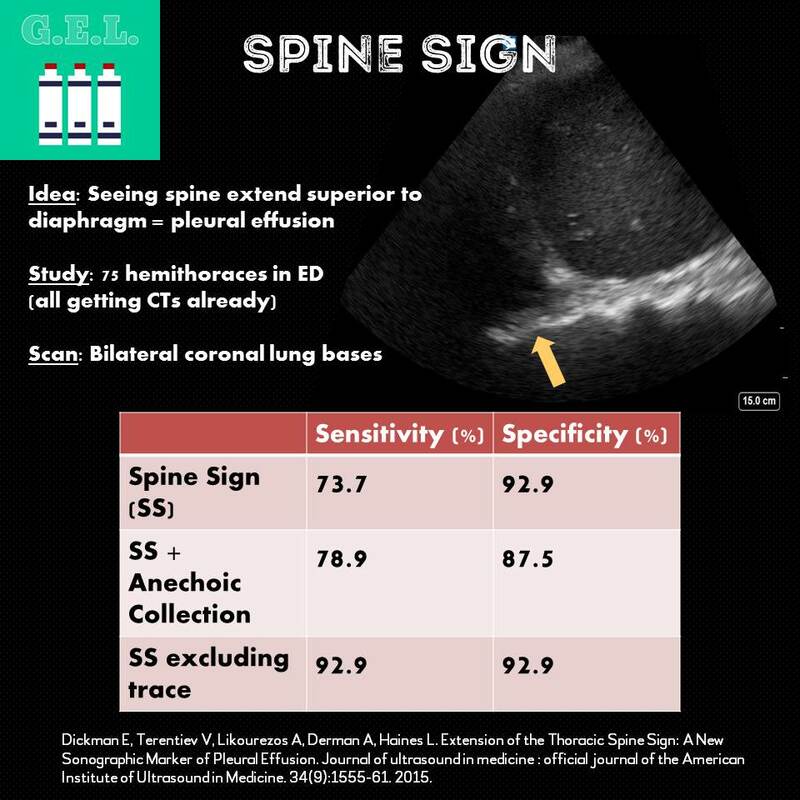 The “extension of the thoracic spine” sign is an ultrasound sign that can identify pleural effusions not otherwise evident on ultrasound. How sensitive and specific is the “spine sign”? All patient enrolled received ultrasound and their CT. Patient supine, head elevated 45 degrees. Left and right lung bases in mid axillary line, looked for anechoic fluid collection and/or “spine sign”. 1. Thoracic spine sign alone is about 74% sensitive and 93% specific. 2. With regard to non-trace pleural effusions, thoracic spine sign is 93% sensitive and specific.